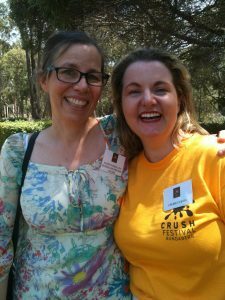 2016 was a historic year for Creative Dragons as founder Cherie Curtis (that’s me) moved cities. 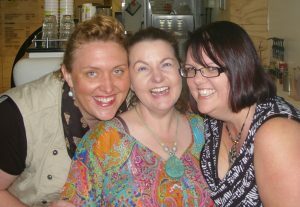 Here’s me performing at QWC’s Bundaberg Whispers event (Alowischus), alongside fellow writers Dianne Wills & Sue-Ellen Pashley. 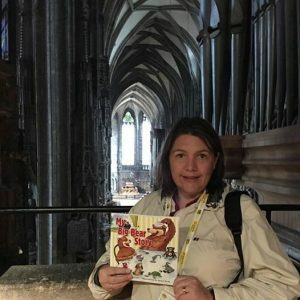 My picture book was showcased at an international conference in Prague. Publisher Shelley Pisani then took the book to various other locations in Europe, including St Stephen’s Cathedral in Vienna. 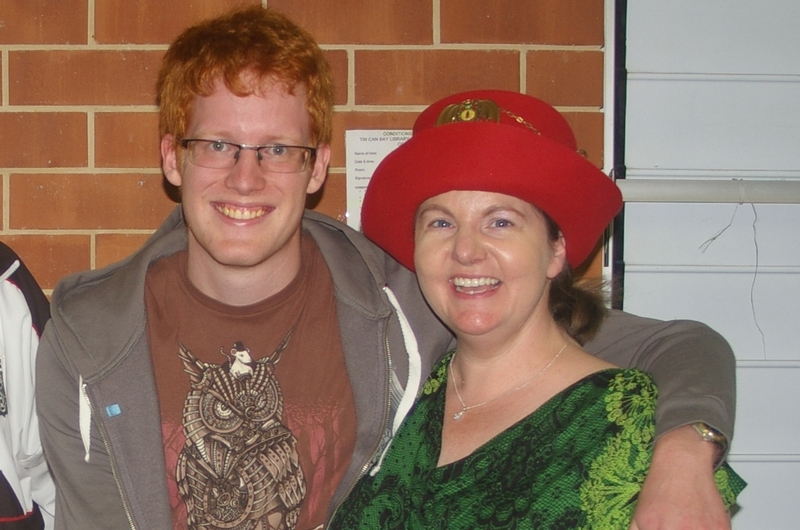 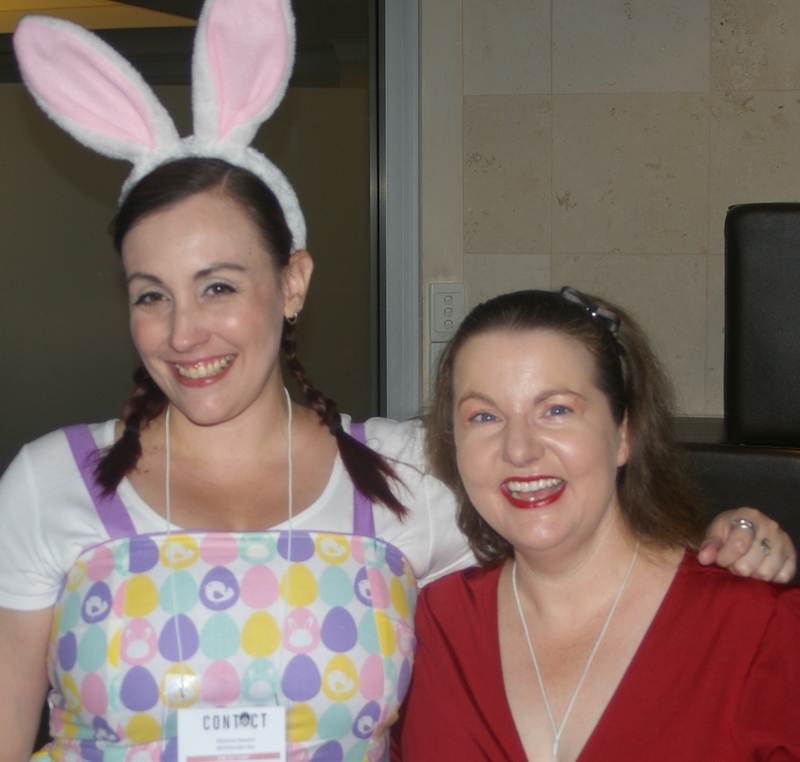 I met the Easter Bunny (aka Melanie Saward) at the National Speculative Fiction Convention in Brisbane at Easter. 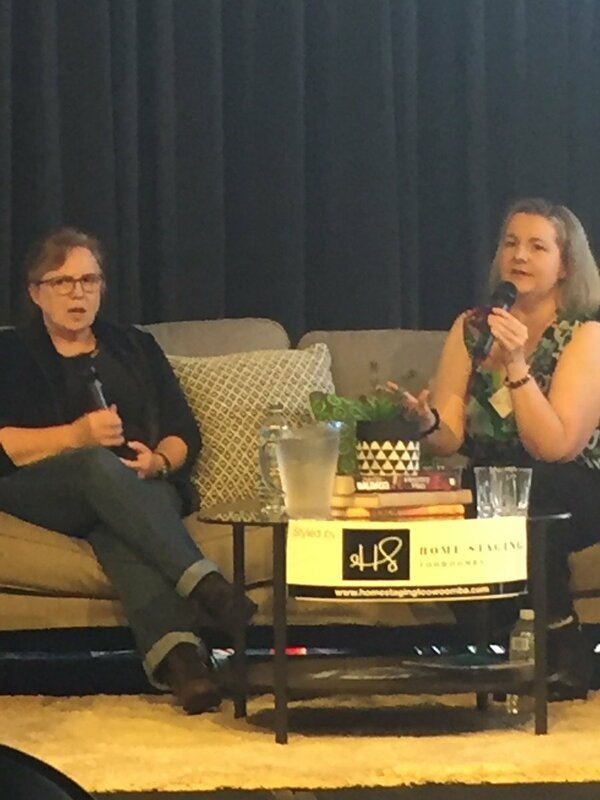 Leaving behind a cloud of dust, I arrived at Injune, south-western Queensland, to present writing workshops in conjunction with a series of farm safety events across the Maranoa. Guest speaker at the farm safety events was ex-footy legend Shane Webcke, who spoke with passion about his family and career. 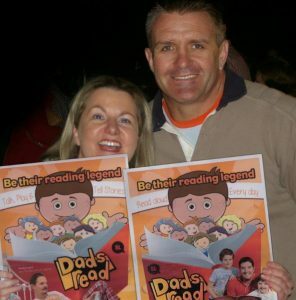 Here we are promoting the legendary Dads Read program – Be their reading legend. 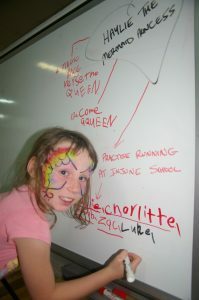 Injune resident Haylie brainstorms story ideas on the whiteboard. Wallumbilla was our next stop. 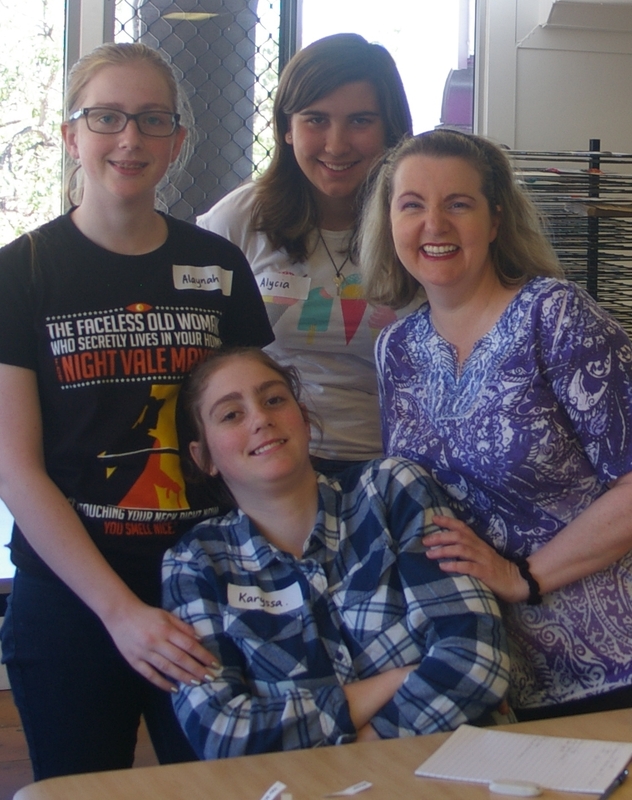 I caught up with two of my fave fans (and old friends), Alaynah and Karyssa Rofe, at one of my “Worlds of Fantasy” workshops at the Bundaberg Regional Art Gallery. Shared chapters with the Qld Writers Centre’s gorgeous CEO Katie Woods at Bundaberg WriteFest. 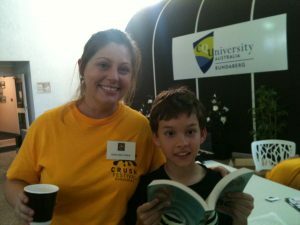 The youngest attendee at this year’s WriteFest was Alex, sharing info with picture book author and aunty Kris Sheather. Said hello to emerging author Susannah Birch and Child Writes’ Emma MacTaggart at the USQ Bookcase cocktail party, which included the announcement of the Bruce Dawe National Poetry and Get Writing award winners. 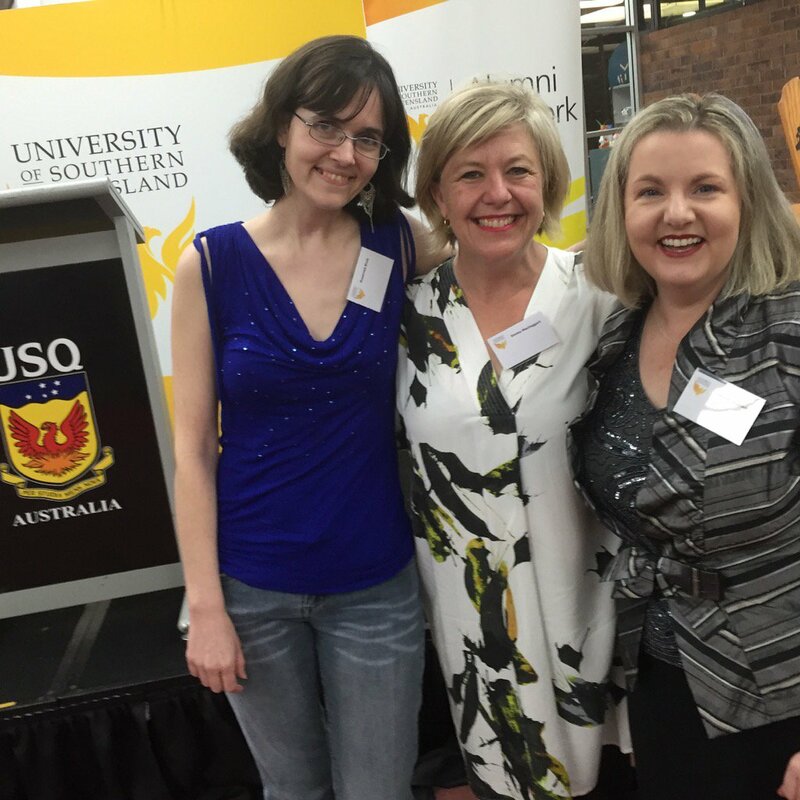 Shared centre stage with internationally bestselling fantasy author Kylie Chan at the USQ Bookcase event. Taught some highly imaginative children “How to Train Your Sea Dragons” at this year’s Kids Crush Event, part of the annual Crush festival. 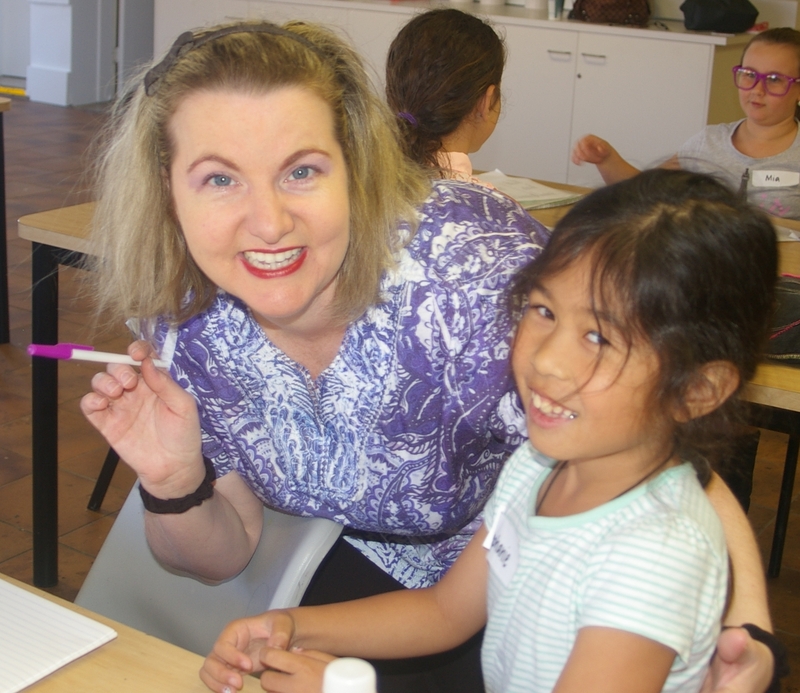 Met fledgling writer Rory at Kylie Chan’s Creating Characters workshops. 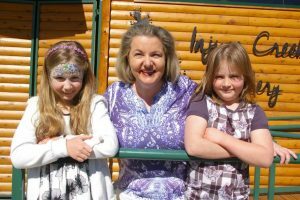 I hope 2016 lived up to your expectations. What are your dreams and goals for 2017? 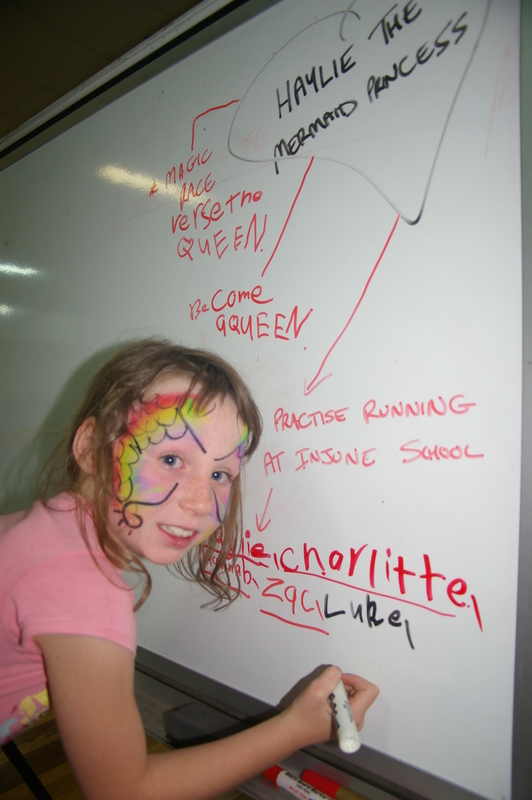 Have you written them down and started working towards them? A goal may seem almost impossible when you start out but if you break it into smaller, manageable chunks, you’ll soon find you’ve made inroads and that final stretch is only a hop, step and a jump away. This entry was posted in Dragon News on December 31, 2016 by admin.